Moving production from a plant in Turin to the United States is an option if a labor deal isn't reached, Marchionne said. DETROIT (Bloomberg) -- Fiat S.p.A. may not reach a labor agreement for workers at its Mirafiori factory before Christmas, CEO Sergio Marchionne said. Moving production from the plant in Turin to the United States is an option if an agreement isn't reached, and there are other possibilities, he said, without describing them. In November, Fiat said it planned to build cars and SUVs for the Jeep and Alfa Romeo brands at the Mirafiori plant as part of a joint venture with Chrysler Group LLC. 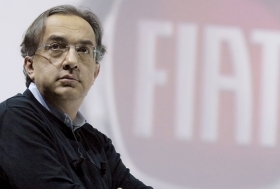 The talks stalled last week, Marchionne said. “There is dialogue going on -- I don't know if I would call them negotiations,” he told reporters following an event at a Chrysler factory.